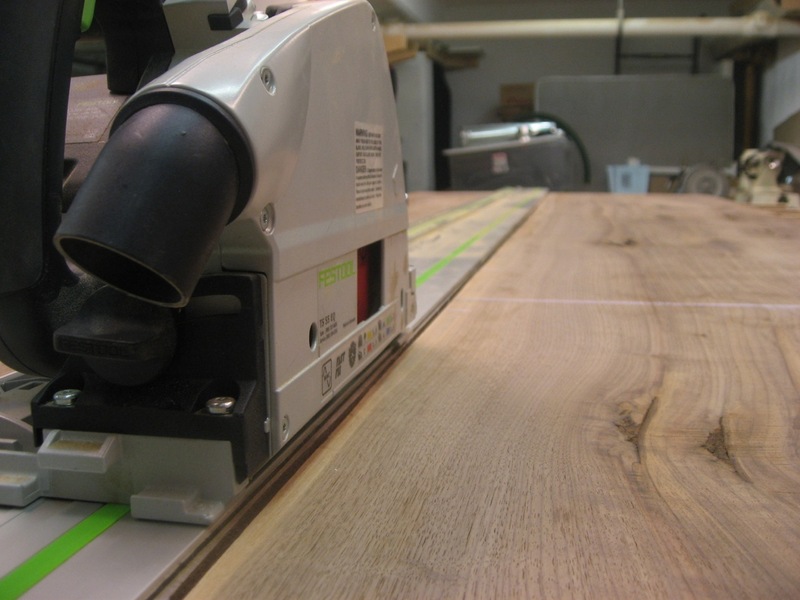 I use my Festool TS55, paired with a rail, to rip off the wavy live edges from boards: it”s a safe, fast, easy way to get a straight edge. 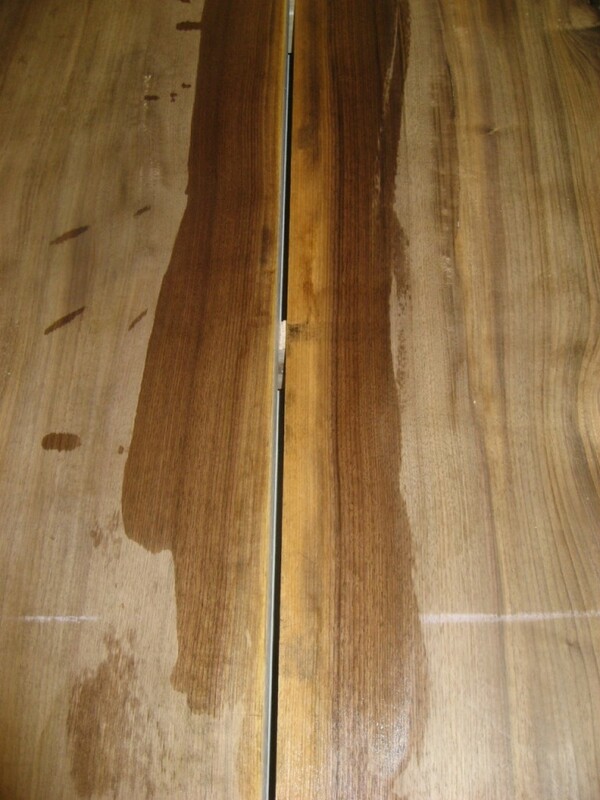 I wet the top to look at the sapwood of my air-dried walnut – trying to decide on using it or not. Using the white sapwood would definitely look nice as a contrasting stripe down the middle, and echoed in the legs as well – but ultimately I decide to go more “elegant” and remove the white sap. Again – I use the TS55 to rip the sapwood off. 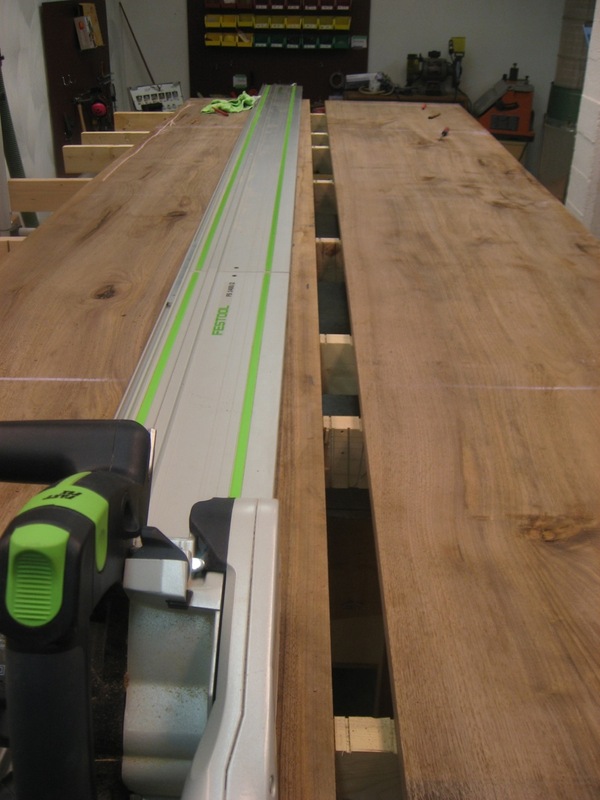 The boards are so long, I have to use Festool rail connectors to gang up my 55″ and 106″ rails in order to make a single cut! Morton’s Shop: Getting Some Lumber Check out the Highland Woodworking Early Fall 2012 Online Catalog!